You are on the website of the Vagyoga Association in Europe. 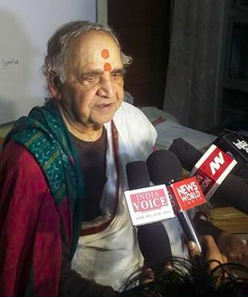 We use this website more in details, when Prof. Dr. Vagish Shastri comes to Europe. 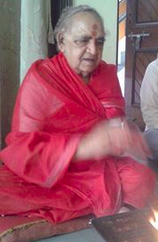 Visit the main website Vagyoga Chetana Peetham of the Vagyoga Institute and Main Center in Varanasi India. Enter new levels of consciousness, creativity and power. Prof. Dr. Vagish Shastri presented in Wikipedia. About the master of Sanskrit grammar and Kundalini practice. This presentation at television gives you a taste of the combination of science, bodywork, meditation and art. In an introduction to yogic philosophy (an old video): Part 1, part 2, part 3. Vagyoga Mnemonic Sanskrit and Kundalini Meditation theory lesson part 1, part 2, part 3, part 4. 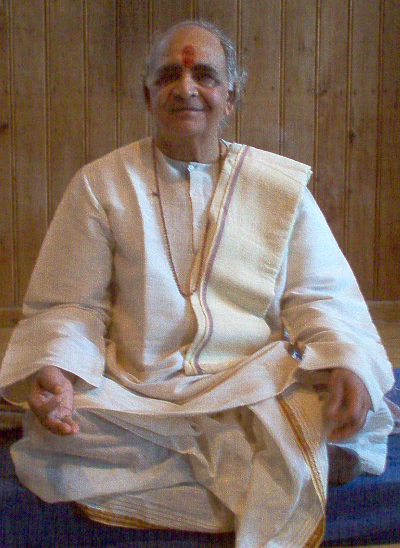 First picture left: Acharya Vagish Shastri during a kundalini teaching in Switzerland 2005. Second left: On a public teaching recently.